These superb men's quality frames are versatile and will fit any style, meaning you'll be able to wear them anywhere and at any time. Lengthen your nose with these high-bridged glasses, creating more of a balance to your face. These glasses made out of high-quality plastic come with a number of benefits that will surely sway you. They're lightweight, comfortable, durable, and hypoallergenic, so you'll never know you're even wearing them. If you've been blessed with a high bridge, you won't need nose pads to keep your Ray Ban RX5277 glasses in place, meaning you can position them you like. Fully rimmed eyeglasses' frames are perfect if you want to make a statement with your eyewear while fully protecting your lenses. 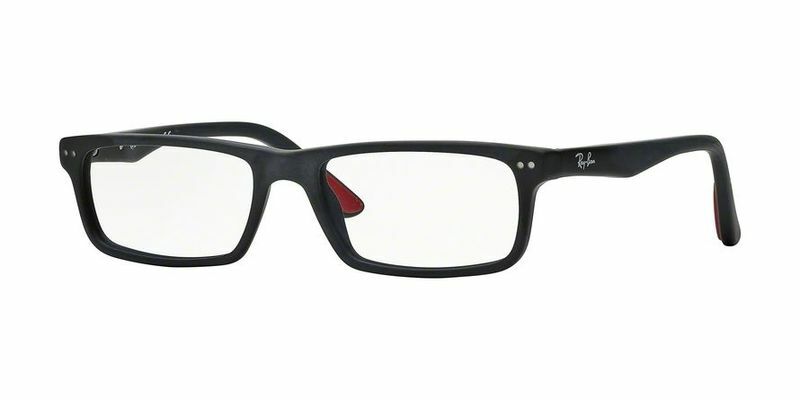 Show your personality through your frames with these comfortable rectangular shaped Ray Ban RX5277 glasses that mold perfectly to the face. Show them that you mean business, but also let them see you've got a more playful side at the same time. The secrets out - these classic frames with their minimalist features will put you on the pedestal when it comes to elegance and class. Each minute detail has been accounted for, which will ultimately put you ahead of the fashion stakes. If you were buying a new suit, you'd expect it to fit perfectly to your body, right? The same goes for your Ray Ban RX5277 glasses. A high temple positioning will create more comfort to for those with rounder features.